Trakoscan was built in the late 13th century in northwestern Croatian defense system as a small observation fortress for monitoring the road from Ptuj to Bednja Valley. According to legend, Trakoscan was named after the Thracian fortress (ARX Thacorum) which allegedly existed in antiquity. Another preserved legend says, it is named after the knights Drachenstein who in the early Middle Ages, ruled the region. changing owners. In these division Trakošćan such a unique property at first belongs to warlord Jan Vitovac then to Ivanis Korvin who gave it to his deputy John Gyulay. 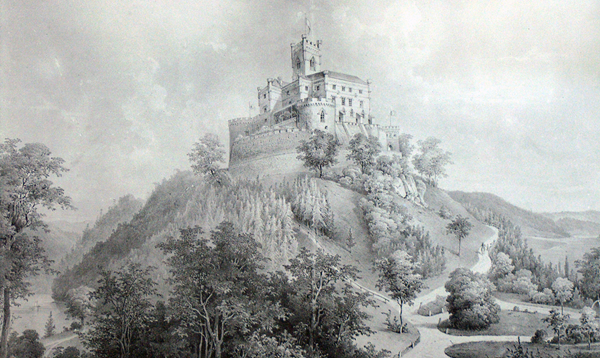 The family kept the castle for three generations and became extinct in 1566., and the estate was taken over by the state. For services rendered king Maximilian gave the estate to Juraj Draskovic (1525th-1587th), first personally, then as the family heritage. So finally at 1584 year Trakoscan belongs to Draskovic family. In the boom years of building castles in Croatian Zagorje, in the second half of the 18th century Trakoscan was abandoned. Neglected, it begins to deteriorate rapidly so just in the second half of the 19th century., the family re-interested in its estate in the spirit of the new era romantic return to nature and family traditions. In this spirit marshal Juraj V. Draskovic in residential castle and the surrounding park was transformed into a romantic garden. The next generation occasionally stay in Trakoscan until 1944th when they immigrated to Austria soon after the castle was nationalized. In 1954 the museum established with a permanent exhibition. Today the castle is owned by the Republic of Croatia. Founded in the late 13th century. Trakošćan was first mentioned in 1334. Owners are counts of Celje by the end of 14.st. Since 1566. the estate is under state maintenance. Rule of Juraj Draskovic (1525-1587). 1584. Trakoscan under Draskovic family. Late 18th century they leaving Trakošćan. In the 19th century., the family returns to Trakošćan. George VI. Draskovic one of the first photographers. Since 1944 the castle was nationalized. From 1954 museum with a permanent exhibition. From the Renaissance to historicismThe museum has a valuable museum material from the Renaissance to historicism, made from valuable collections of paintings, furniture, weapons and other items which are constantly exposed in original spatial units that present aristocratic life through history of Trakošćan and Draskovic family. Emerged in the 13th centuryTrakošćan Castle was built in the 13th century and was originally a small medieval castle - Burg. Often changing hands until 1569 year when it passes into the hands of Croatian noble family Draskovic. Rescuing in the 19th centuryWith time and with the weakening of war risk castel losing its importance, from complete collapse the owners are saving it in the 19th century when they reshaping it and converted into a residence. Pioneer of photography in CroatiaOne of the pioneers of photography in Croatia was Count George VI. Draskovic, who remained in the history by his military career and as a reformer of Trakošćan. The park and lakeIn parallel with these modifications, the surrounding area is regulated in the park, and created an artificial lake. Institution Castle TrakošćanDraskovic family, after nearly 400 - year of continuous ownership leaves the castle in year of 1944. 1954 there is established a museum institution Trakoscan which manages Trakoscan complex.